OCCUPIED JERUSALEM, (PIC)– Jewish settlers stormed the holy Aqsa mosque in occupied Jerusalem on Monday morning in an attempt to offer Talmudic rituals. Local sources said that Israeli policemen arrested one of the guards inside the mosque for trying to stop the settlers from performing those rituals inside the Islamic holy shrine. They said that the policemen took away Tarek Abu Subaih for trying to disrupt the settlers’ attempt. File photo of a Palestinian village in the Jordan Valley after an Israeli demolition in March 2012. NABLUS (Ma’an) — Israeli forces have delivered evacuation orders to around 100 Palestinian families in the northern Jordan Valley ahead of a military training exercise, a local official said Monday. The evacuation affects around 1,000 Palestinians living in rural communities around Wadi al-Maleh, local mayor Arif Daraghma told Ma’an. They must leave their homes by Wednesday for 48 hours, or they will be subject to penalties, he said. The orders explain that Israeli troops will be holding military drills in the area. “To ensure the safety of the local inhabitants, temporary eviction notices were distributed today to the residents of the illegal structures located in a closed military zone to be used in the exercise,” Israel’s army said in a statement. The residents will be allowed to return after the military exercises have been completed. “It should be emphasized that these structures, located in closed military zones actively used by the IDF, are illegal in nature,” the statement added. This week’s evacuation follows a similar exercise in November, when hundreds of Palestinians in the Jordan Valley were ordered from their homes ahead of a military exercise in the area, which is designated a closed military zone. The UN Office for the Coordination of Humanitarian Affairs says Israel has designated around 18 percent of the West Bank as closed military zones, an area roughly equal in size to Area A, the 17.7 percent of the West Bank under Palestinian Authority control. Around 5,000 Palestinians live in Israeli military firing zones in the West Bank, UNOCHA says. Since 2010, Israel has demolished the homes of 820 Palestinians located in firing zones. Palestinians in Ramallah watch on a giant screen Palestinian Authority chief Mahmoud Abbas speaking at the UN on November 29, 2012. Acting Palestinian Authority chief Mahmoud Abbas has pledged that 2013 would be the year for the Palestinian independence. In a speech to Palestinians on the eve of the 48th anniversary of the formation of the Fatah movement, Abbas said that last month’s UN General Assembly vote to upgrade the Palestinian status was a “certificate” of a Palestinian state. On November 29, the 193-member UN General Assembly voted 138-9 with 41 abstentions at the UN headquarters in New York to upgrade Palestine’s status to non-member observer state. The United States and the Israeli regime were among those UN members that voted against the resolution. The observer state status grants Palestinians access to UN agencies and the International Criminal Court, where they can file formal complaints against the Israeli regime. The upgrade also allows Palestinians to participate in debates at the UN and improves their chances of joining UN agencies. Direct talks between Tel Aviv and the Palestinian Authority were stalled around three weeks after they had resumed in the United States in September 2010 due to Israel’s refusal to extend a partial freeze on its illegal settlement construction in the occupied Palestinian territories. So let’s say this for 2013: the “Arab Awakening” (the title of George Antonius’ seminal work of 1938) will continue, the demand for dignity and freedom – let us not get tramelled up here with “democracy” – will go on ravaging the pseudo-stability of the Middle East, causing as much fear in Washington as it does in the palaces of the Arab Gulf. On the epic scale of history, that much is certain. At the incendiary core of this discontent will be the claims of a Palestinian state that does not exist and may never exist and the actions of an Israeli state which – through its constant building of colonies for Jews and Jews only on Arab land – ensures that “Palestine” will remain only an Arab dream. If 2012 is anything to go by, the Palestinians themselves face the coming year with the knowledge that: 1) neither the Americans nor the Europeans have the guts to help them, because 2) Israel will continue to act with impunity, and 3) neither the Obamas nor the Camerons nor the Hollandes have the slightest interest in taking on the Likudist lobby, which will scream “anti-semitism” the moment the minutest criticism is made against Israel. Add to this the fact that Mahmoud Abbas and his utterly discredited regime in Ramallah will go on making concessions to the Israelis – if you do not believe me, read Clayton Swisher’s The Palestine Papers – even when there are no more concessions to make. Hamas and Khaled Meshaal will go on denying Israel’s right to exist – thus allowing Israel to falsely claim that it has “no one to talk to” – until the next Gaza war and the subsequent cowardly request from the West which will “urge restraint on both sides”, as if the Palestinians possess Merkava tanks, F-18s and drones. A third Intifada? Maybe. An approach to the International Court to condemn Israel for war crimes in building Jewish colonies on other people’s land? Perhaps. But so what? The Palestinians won an international court case which condemned the building of Israel’s apartheid/security wall – and absolutely nothing happened. That’s the fate of the Palestinians. They’re told by the likes of Tom Friedman to abandon violence and adopt the tactics of Gandhi; then when they do, they still lose, and Friedman remains silent. It was, after all, Gandhi who said that Western civilisation “would be a good idea”. So bad news for Palestine in 2013. Iran? Well, the Iranians understand the West much better than we understand the Iranians – a lot of them, remember, were educated in the United States. And they’ve an intriguing way of coming out on top whatever they do. George Bush (and Lord Blair of Kut al-Amara) invaded Afghanistan and rid the Shia Iranians of their Sunni enemy, whom they always called the “Black Taliban”. Then Bush-Blair invaded Iraq and got rid of the Islamic Republic’s most loathsome enemy, Saddam Hussein. Thus did Iran win both the Afghan and the Iraqi war – without firing a shot. There’s no doubt that Iran would fire a shot or two if Israel/America – the two are interchangeable in Iran as in many other Middle East countries – were to attack its nuclear facilities. But Israel has no stomach for an all-out war against Iran – it would lose – and the US, having lost two Middle East wars, has no enthusiasm for losing a third. Sanctions – and here is Iran’s real potential nemesis – are causing far more misery than Israel’s F-18s. And why is America threatening Iran in the first place? It didn’t threaten India when it went nuclear. And when that most unstable and extremist state called Pakistan was developing nuclear weapons, no US threat was made to bomb its facilities. True, we’ve heard that more recently – in case the nukes “fell into the wrong hands”, as in gas which might “fall into the wrong hands” in Syria; or in Gaza, for that matter, where democracy “fell into the wrong hands” the moment Hamas won elections there in 2006. Now that Obama has entered his drone-happy second presidency, we’re going to hear more about those wonderful unpiloted bombers which have been ripping up bad guys and civilians for more than four years. One day, one of these machines – though they fly in packs of seven or eight – will hit too many civilians or, even worse, will contrive to kill westerners or NGOs. Then Obama will be apologising – though without the tears he expended over Newtown, Connecticut. And here’s a thought for this year. The gun lobby in the States tells us that “it’s not guns that kill – it’s people”. But apply that to drone attacks on Pakistan or Israeli bombardments of Gaza and the rubric changes. It’s the guns/bombs/rockets that kill because the Americans don’t mean to kill civilians and the Israelis don’t wish to kill civilians. It’s just “collateral damage” again, though that’s not an excuse you can provide for Hamas rockets. So what’s left for 2013? Assad, of course. He’s already trying to win back some rebel forces to his own ruthless side – an intelligent though dangerous tactic – and the West is getting up to its knees in rebel cruelty. Yes, Assad will go. One day. He says as much. But don’t expect it to happen in the immediate future. Or Gaddafi-style. The old mantra still applies. Egypt was not Tunisia and Yemen was not Egypt and Libya was not Yemen and Syria is not Libya. Iraq? Its own latent civil war will go on grinding up the bones of civil society while we largely ignore its agony; there are days now when more Iraqis are killed than Syrians, though you wouldn’t know it from the nightly news. De Israëlische president Shimon Peres. De Israëlische president Shimon Peres heeft maandag beklemtoond dat er geen fundamentele reden is om níet met de Palestijnse beweging Hamas te praten. Als Hamas een opbouwende relatie met Israël wil, wil Israël dat ze succes heeft. We willen niemand in de Gazastrook zien lijden, jong of oud, zei Peres tegen christelijke voormannen in Jeruzalem op een nieuwjaarsreceptie. Hamas, een Palestijnse variant op de Egyptische Moslim Broederschap, erkent Israël niet en beschouwt de Israëliërs als indringers in en bezetters van Palestina. Voor Israël is Hamas een terroristische organisatie. Bij de laatste Palestijnse verkiezingen, 6 jaar geleden, won Hamas overtuigend. Israël belegert de Gazastrook sinds Hamas er in 2007 het heft in handen nam. A section of the Israeli separation wall is seen between the Shufat refugee camp and Pisgat Zeev in an area Israel illegally annexed after capturing it in 1967. BETHLEHEM (Ma’an) — Israeli authorities issued notices on Friday to annex 456 dunams of land from a Jerusalem village in order to build part of its separation wall, local officials said. Head of Beit Iksa village council Kamal Hababa said villagers were shocked when they saw the notices detailing plans to seize agricultural land, officials news agency Wafa reported. The notices invited residents to participate in a tour with Israeli military officers along the proposed route of the barrier, Hababa said, adding that villagers refused to take part and vowed to confront soldiers if they come to the village. The wall, when finished, will surround the village on all sides and annex around 12,000 dunams of agricultural land used for growing olive trees and grape vineyards. Beit Iksa’s 2,000 residents will be left with only 300 dunams of land for natural growth and will be separated from Jerusalem and isolated from the rest of the West Bank, Jerusalem governorate official Muhammad Tari said. Beit Iksa village is located in Area B but is physically isolated from surrounding areas, with residents having to cross a checkpoint to access the West Bank. The village is located directly opposite the illegal Ramot Allon settlement, which is considered part of Jerusalem by Israel but is illegal under international law. More than 45,000 people have been killed since the conflict broke out in March 2011. Nearly 90 percent of those who have died in Syria’s 21-month conflict were killed in 2012, the Syrian Observatory for Human Rights said on Monday. More than 45,000 people have been killed since the conflict broke out in March 2011, but 39,362 of those perished during the past 12 months, the majority civilians, said the Britain-based watchdog. The civilian toll of 28,113 includes those who have taken up arms against the regime of President Bashar al-Assad, it said. Government troops suffered heavy losses, with 9,482 people killed, while 1,040 military defectors also were killed in action. Another 727 people in the 2012 toll were unidentified. “The death toll of the regime forces is actually higher, but the government keeps these figures under wraps,” said Observatory director Rami Abdel Rahman. The increase in the total number of deaths was due to a fierce escalation in the methods of crackdown by the regime, Abdel Rahman said. “The year 2012 was the bloodiest and most destructive because all kinds of heavy weapons as well as regime warplanes were used in battle,” he told AFP by phone. Hyderabad – SEAL Team 4 Commanding Officer Job W. Price commit suicide. He was best known for finding and then killing Osama bin Laden. Cmdr. Job W. Price, 42, died Saturday, Dec. 22, of a non-combat-related injury while supporting stability operations in Uruzgan Province, Afghanistan. Suicide of the Officer of this grade raises many questions among the media, as the team was best known for killing Osama Bin Laden that assaulted his compound in Abbottabad, Pakistan on May 1, 2011. Military officials are looking into the death of Cmdr. Job W. Price as a possible suicide, but that his death remains under investigation. Price, 42, of Pottstown, Pa., was in charge of coordinating all Team 4 missions. Price was in Afghanistan supporting stability operations in Uruzgan Province. He was assigned to an East Coast-based Naval Special Warfare unit based in Virginia Beach, Va.
SEAL Team 4 is among eight SEAL team deployments. SEAL Team 6 is best known among them for finding and then killing Osama bin Laden. US military officials are investigating the apparent suicide of a Navy Seal commander in Afghanistan. Navy Seal Commander Job W Price, 42, of Pottstown, Pennsylvania, died on Saturday from a non-combat-related injury while supporting stability operations in Uruzgan province, Afghanistan. A US military official said the death “appears to be the result of suicide”. The official spoke on condition of anonymity because the death is still being investigated. 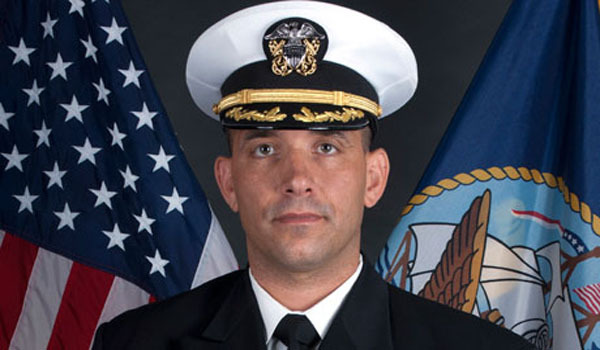 “The Naval Special Warfare family is deeply saddened by the loss of our teammate,” said Captain Robert Smith, commander of Naval Special Warfare Group Two, which manages all Virginia-based Navy Seal teams. Smith added: “As we mourn the loss and honour the memory of our fallen teammate, those he served with will continue to carry out the mission.”. A US military official confirmed Price was from Virginia Beach, Virginia-based Seal Team 4, which is part of the mission to train Afghan local police to fend off the Taliban in remote parts of Afghanistan. Price is survived by a wife and a daughter. The results of recent opinion polls have shown that two thirds of Israelis support the establishment of a Palestinian state. The polls, carried out in December and commissioned by the S. Daniel Abraham Center for Middle East Peace in Washington DC, reveal that most supporters of Israel’s Likud-Beiteinu party and Habayit Hayehudi party would favor a peace agreement aimed at the formation of a Palestinian state based on the 1967 borders, Israel’s retention of major settlement blocs and a division of al-Quds (Jerusalem). The Israeli regime has persistently continued constructing illegal settlements in the occupied Palestinian territories of the West Bank and East al-Quds despite condemnation by the United Nations. Washington also blocked a Palestinian request for full UN membership at the UN Security Council last year, using its veto power. Palestinian Authority (PA) Chairman Mahmoud Abbas is repeating earlier threats to dissolve the Ramallah regime. In a recent interview with the Haaretz newspaper, Abbas warned that he would “throw the keys” of the authority to the Israelis if Israel didn’t stop building settlements and if no progress in the already moribund peace process was reached by the time a new Israeli government is formed. Israel is scheduled to hold general elections on 22 January and right wing parties, both religious and secular, are forecast to win a landslide victory. This means that the next Israeli government is likely to be the most extremist and recalcitrant ever. The PA was hoping to transform its diplomatic achievement at the United Nations last month into tangible political accomplishments on the ground. However, thanks to Israeli recalcitrance and arrogance of power, the Zionist entity adopted further provocative measures against the Palestinians, pushing the PA into a corner. These measures included decisions to build thousands of settler units in the West Bank, especially East Jerusalem, and withholding the transfer of tax and customs revenue levied by Israel on behalf of the PA in accordance with the hapless Paris economic protocol. Consequently, the PA has been hit with the severest financial crisis ever since its establishment in 1993-94. Some of the harsh manifestations of the current crisis include the inability of the Ramallah regime to pay salaries to its estimated 160,000 employees and civil servants, amongst them a 70,000- member security force whose main function is the suppression of any active resistance to the Israeli occupation and Jewish settlers. The Arab world promised last month to secure a financial net amounting to $100 million per month to keep the PA afloat. However, as of today (30 December, 2012), not a penny has been transferred to PA coffers. In fact, it has been reported that a number of Arab states decided to renege on pledges made Earlier. This is certainly very bad news for the PA, to put it rather mildly. One Palestinian official accused the United States of bullying certain Arab capitals to refrain from extending a life raft to the PA. In other words, the US wants the PA to grovel at Israel’s feet and surrender to Zionist designs before ordering corrupt oil sheikhs to throw unto the PA some of the crunch leftover from their fancy meals. Well, if true, the Arab wealth is being manipulated to undermine the Palestinian cause. But never mind, for this is not the first time these stupid sheikhs and emirs are bullied to follow directions and instructions from Washington where the Jewish lobby has the final say in matters pertaining to the Middle East, especially the Arab Israeli conflict. There is no doubt that the dissolution of the PA would be good news for most Palestinians. Yes, some people would lose their jobs and some corrupt robber barons in Ramallah would suffer mostly temporarily. However, the overall Palestinian cause would gain. First of all, the problem of Palestine would revert to square one, whereby Palestine is viewed as an occupied country and the Palestinian people is languishing under a foreign military occupation. Zionist propagandists and liars wouldn’t be able to claim that 99% of Palestinians are under the jurisdiction of the PA, an obscene mendacity long regurgitated by the likes of Shimon Peres. Needless to say, the Palestinians wouldn’t just recline on their sofas and watch television. They would rather resume their resistance against the last colonialist rule on earth. The Palestinian struggle, Which is likely to see the spilling of much new blood, would expose Israel as it is, a brutal Nazi-like criminal power indulging in ethnic cleansing against a native people struggling for freedom and dignity. It would also force those Arab states that reached peace treaties with Israel to sever or freeze these treaties and return to the mode of confrontation with Israel. Indeed, with Arab peoples visibly empowered, especially, vis-à-vis the regimes, the regimes would be forced to meet, though begrudgingly, the expectations and demands of the masses, or else face the consequences. In the final analysis, ordinary citizens in Cairo and Amman wouldn’t be able to remain passive while watching their brethren in Gaza, Hebron and Jerusalem being murdered in droves by Zio-Nazi soldiers and Talmudic-minded Jewish maniacs who are convinced that the more Arab and Muslim children they murder, the speedier will be the appearance of the redeemer!! Second, the dissolution of the PA would represent a good riddance for many patriotic Palestinians. It would revive the Palestinian resistance in the West Bank and Palestinian soldiers tasked with protecting Israeli settlers against resistance attacks would train their rifles not against the resistance fighters but the occupation soldiers and settlers. This would be the most effective and authentic solution for the rift between Fatah and Hamas. Fatah people, who had been made to believe that, Hamas, not Israel, was impeding liberation and preventing the establishment of a true Palestinian state with Jerusalem as its capital, would discover, though belatedly, that Israel is the head of the snake that must be crushed. Third, the dissolution of the PA would also mean that the Palestinians would free themselves from the illusion of counting on the U.S. , Israel’s guardian-ally, to pressure Israel and convince its manifestly criminal leadership to walk in the path of peace. Needless to say, the raison Detre of the PA, as far as Israel is concerned, is to serve Israeli security and political interests. This is done under the so-called “security coordination” between the sizeable Palestinian security force and the Israeli occupation army. Putting diplomatic jargon aside, this security coordination is no less than grand treason. How else can one describe the repression and murder of Palestinian activists and resistance fighters at the hands of their countrymen in the service of Israel? I hope and pray Abbas will make good on his threat. In the past, he warned ad nauseam that he would dissolve the PA if Israel didn’t stop stealing Palestinian land. This really made friends and foes alike not take him seriously. That is why; Abbas would lose whatever credibility he still has if he once again failed to act. The Palestinian people wouldn’t forgive him.